What T-Shirts are available on Artist Shops? Artist Shops have a bevy of crew neck tees to pick from and here is a handy breakdown of the styles. This is your essential everyday crew-neck. A lightweight 4.3 oz preshrunk jersey knit made from 100% combed ring-spun cotton (Heather color contain between 10-65% polyester). Made by Anvil, the Mens tee has sizing from Small to 3X-Large in most colors. 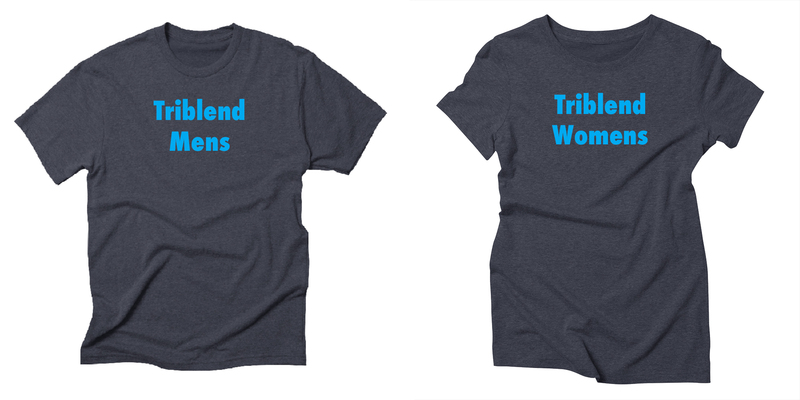 Womens tee are made by Next Level with sizing from Small to 2X-Large in most colors. 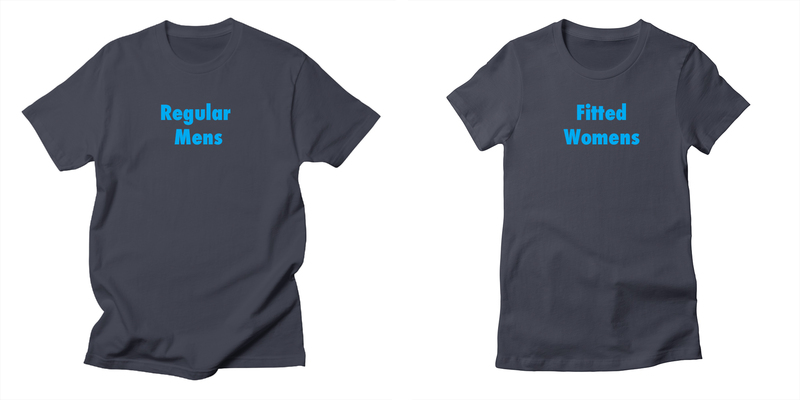 The Unisex Regular Tee, also by Anvil, is located in the Womens category as an additional fit option. This study tee (5.3 oz) features a boxier fit and is made with 100% preshrunk combed cotton (heather color contain between 10-65% polyester). From Gildan, this tee can be found in both the Mens and Womens sections with Unisex sizing from Small to 5X-Large in some colors. 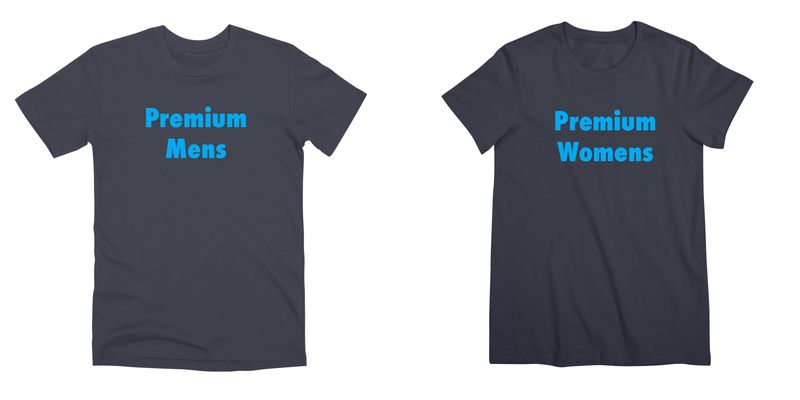 These form-fitting lightweight (4.3 oz) tees have a great vintage look when printed and are made with a Tri-blend of Polyester, Combed Ring-Spun Cotton, and Rayon (50/25/25). Made by Next Level, they are cozy, comfy, and have sizing from Small to 2X-Large in most colors. 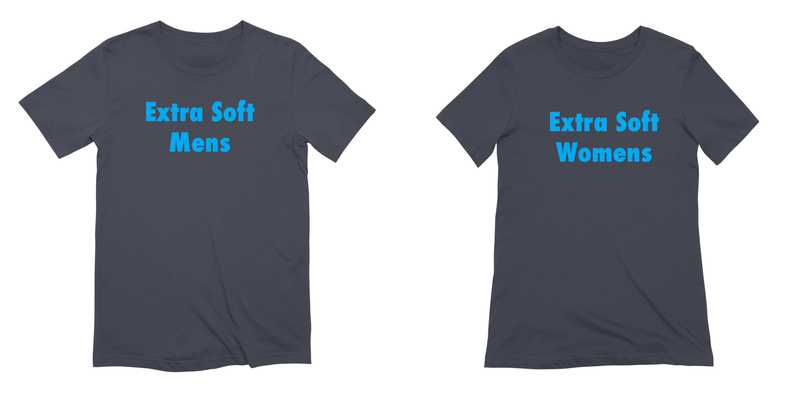 Super soft and made with lightweight (4.2 oz) jersey these tees are 100% Airlume-comed and ringspun cotton (Heathers contain between 1-48% polyester). From Bella Canvas, these tees have Mens sizing from Small to 3X-Large and Womens sizing from Small to 2X-Large in most colors. 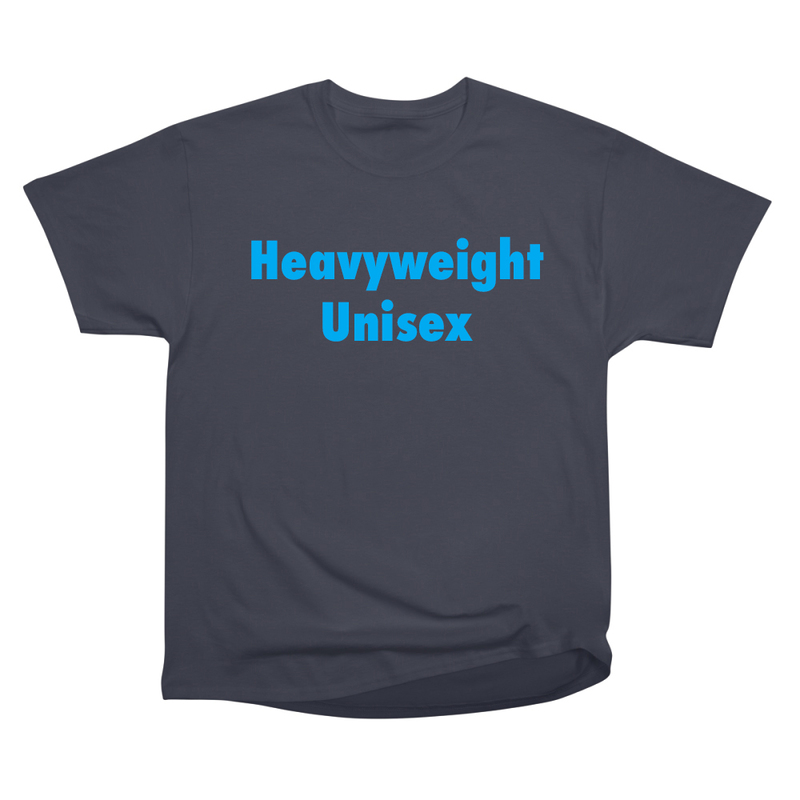 This high-quality mid-weight (5.3 oz) regular fit tee is made from 100% combed cotton (heather colors contain 15% polyester). From AS Colour, the Premium tee is equal parts smooth, soft, and strong. With Mens sizing from Small to 3X-Large and Womens sizing from X-Small to X-Large (most colors), this is going to be your new fave tee.